I've talked about David's Tea before but after my last trip to MN, I figured it was time I did a big ol' post about it. 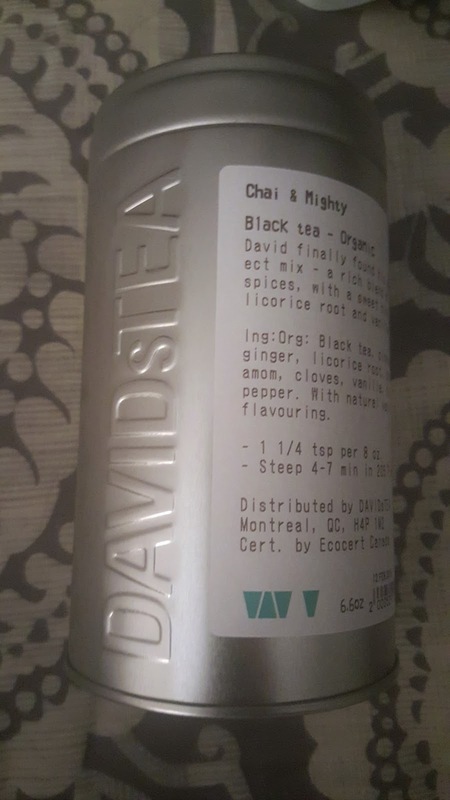 David's Tea is a chain of stores, much like Teavana, that sells different varieties of loose tea. 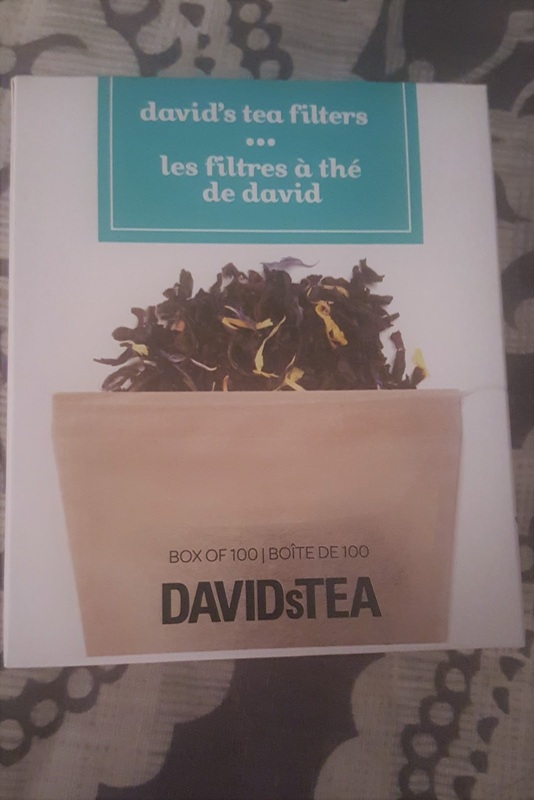 I discovered David's Tea a couple of years ago online. I started with a sampler of tea and was hooked. While shopping in the Mall of America last week, I was finally able to visit a store. Call me crazy but tea gets my really excited. 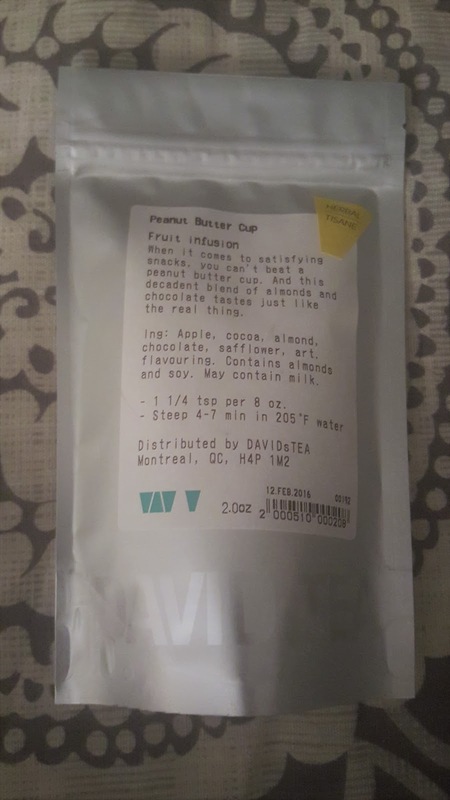 Perhaps it is because tea has become a treat for me more these days and the variety that David's Tea offers is impressive. 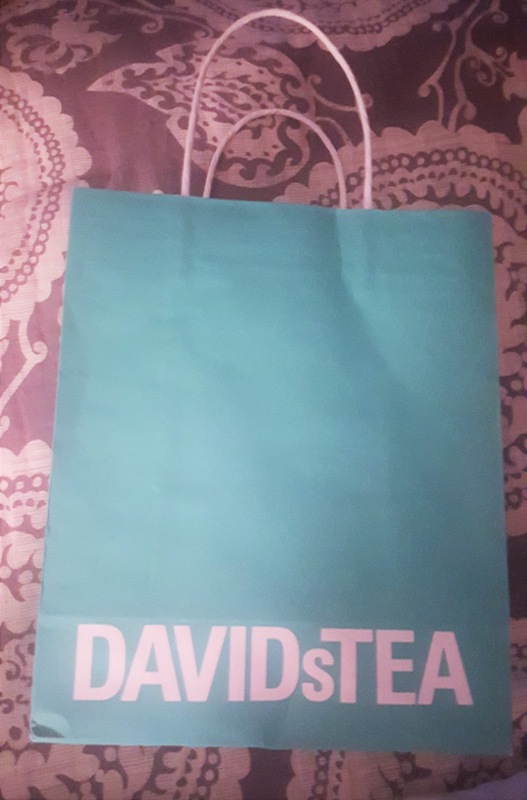 Previously, I had been a fan of Teavana and still think they have good tea but David's Tea is excellent tea. When you walk into David's Tea you will find a fairly small store with a few tables of tea accessories and sachets. It is at the counter where all the loose teas sit; a large wall of canisters of every flavor you could imagine. As you ask to smell the teas, the employees behind the counter pull them down and flip the lid on the canister so you can inhale the aromas. At one point during my visit, I had nearly 30 canisters on the counter. It was hard to choose but I did manage to make my selections. I bought canisters of the first two as these were ones that I knew I loved and would want the most of. The last 3 I bought 2 oz. bags of so I could try them and see what I think before buying a canister. Chai & Mighty - A rich blend of warm spices, with a sweet hint of licorice root and vanilla. This is my absolute favorite and is excellent with a splash of heavy cream. Breathing in the warm smells is soothing. Forever Nuts - Nutty jumble of almonds, apples and cinnamon. Also contains beet root so it turns pink as it steeps. This is a nice hearty tea that anyone who isn't adverse to nuts would love. I think it is actually their bestseller. English Toffee - Decadent, all natural blend of tea, cocoa, and caramel. This one smells amazing and will definitely be a dessert. 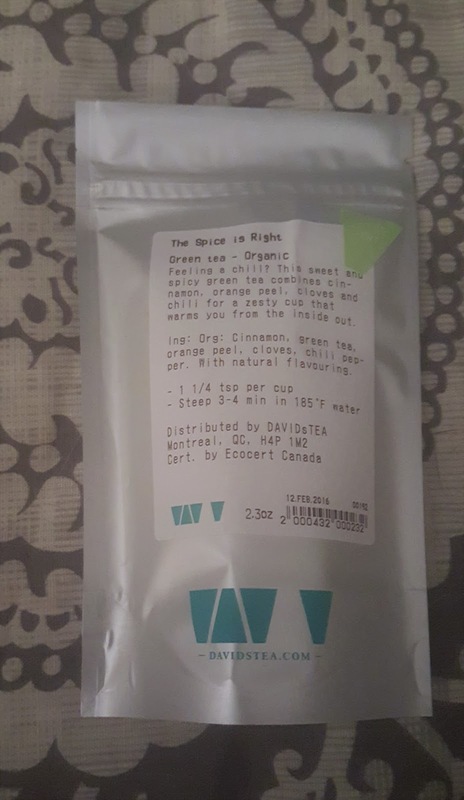 The Spice is Right - Sweet and spicy blend of green tea, cinnamon, and orange peel. Smells a lot like Constant Comment that my mama was a fan of as I was growing up. Peanut Butter Cup - Yes, you read that correctly. This one I have wanted to try for awhile but they stopped selling it online so I had to get it in the store. It smells exactly like a Reese's. I stopped there and believe me, spent way more than I had planned to. But there more flavors that I still really wanted to try: Birthday Cake, Cardamom French Toast, Honey Bee, Butter Rum, the list goes on and on. There are quite a few matchas and fruit infused teas as well. Those really aren't my thing but thought I would mention it for those who like those flavors. I also bought some filters so I can take my tea to go. 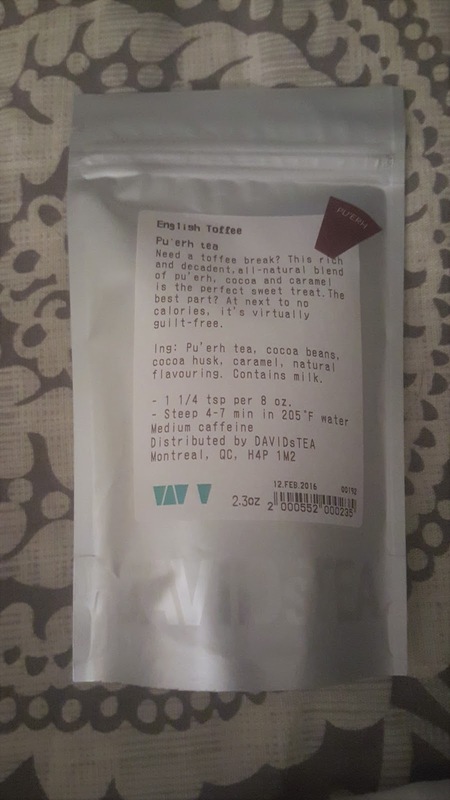 I love the filters that David's Tea sells because they don't fall apart and I can usually get two steeps out of bag. I still do love my coffee but tea is my favorite. 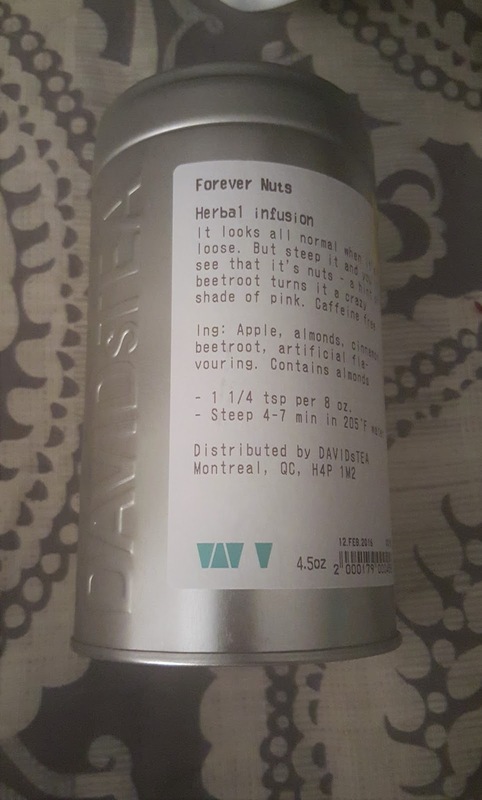 If you are interested in checking out David's Tea, right now is the perfect time, they are offering 2 oz. of tea free with any $35 purchase. I might have taken advantage of this deal myself.